Sometimes life feels like the bad guys are winning. We think our elected officials messed with the votes. Our neighbors are unconscious about their barking dog. The new President just dumped all the pro-environment legislature that ever happened. You don’t know who to trust. There’s another article about conspiracy or revelations about what really happens in Congress. You discover that your city planner is in cahoots with that “good ole boy” contractor. Your city officials will do anything to get more money, like creating speed traps where they change the allowed (posted) speed. Your house needs work and none of the three contractors you hired can agree on what needs to be done. You’ve been abused and were helpless to defend yourself. Your house-sitter stole from you. Your best friend is spreading malicious lies about you. Your boss had your office painted in the busiest week of that quarter. Or worse, you were assaulted by your brother in-law or even raped. Uh huh. And how did that go? it didn’t. You got no satisfaction. You’ve been sitting on it for years. Maybe you’ve spent your life trying to be good. Perhaps you’re a follower of Abraham and don’t want to botch your manifesting. Either way, you don’t like negative thinking, but you do want change. So what are you going to do? Curl up with your cat and watch Shooter! 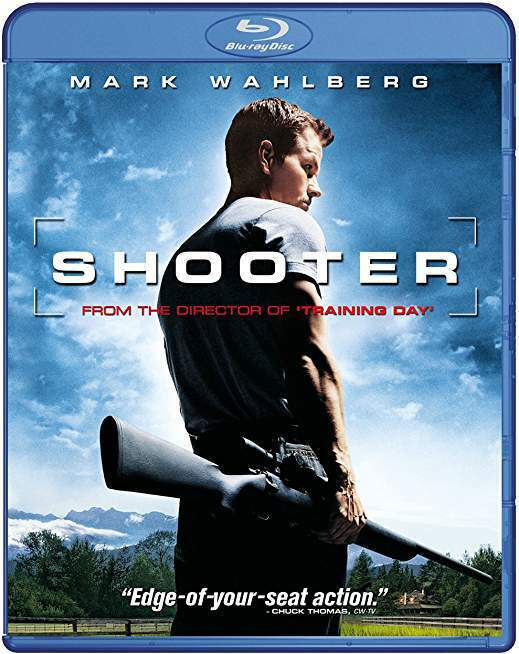 Shooter was made for people who “stuff it.” We can relax while Mark Wahlberg handles it for us– all of it. Name those characters and dump your junk! Movie Therapy! Sure, you can watch it on Netflix or rent it, but I like having my own copy for a future purge. This entry was posted in Film reviews and tagged movie therapy, people who "stuff it". Bookmark the permalink.